According to Mirror, Justin Bieber has been slammed by heavy metal fans for wearing a Metallica t-shirt. The singer posted a photo over the weekend of himself donning a wide-brimmed black hat along with an oversized black Metallica top. An Instagram user commented: "Take that shirt off you don't deserve it," while another added: "U r a disgrace to metallica." Someone else stated: "I love Metallica and I hate Justin Bieber." 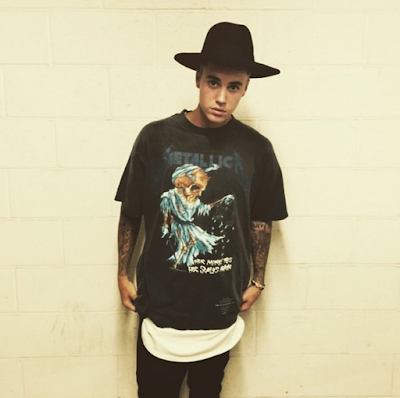 Justin Bieber previously revealed that he is a big fan of Metallica.